There’s no question that Samsung has conquered the Android market, and a recent study drives home just how drastically the South Korean company has captured the North American market. 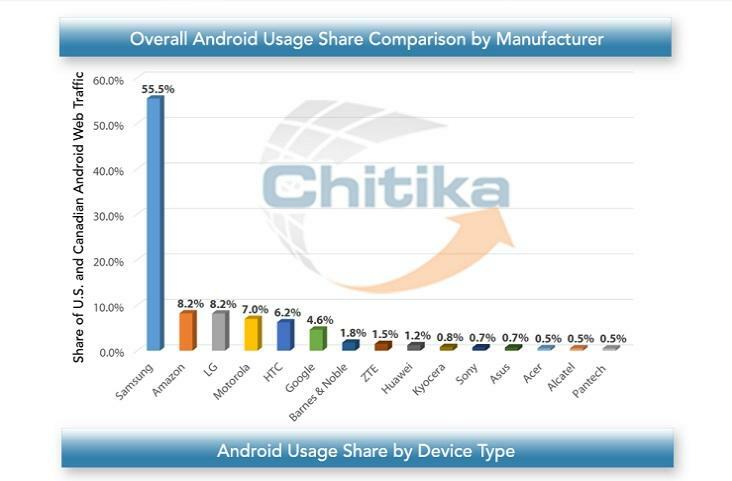 According to the Chitika ad network, Samsung garnered more than 55 percent of all Android web traffic in North America, blowing away even its closest competitors. Following Samsung’s 55.5 percent market share, Amazon and LG are tied for second place with a measly 8.2 percent of North American Android web traffic each, based on ad impressions recorded by Chitika between Feb. 20 and 26. Next up is Motorola with just 7 percent of the market, followed by HTC at 6.2 percent and Google (presumably the Nexus brand) with just 4.6 percent of web traffic. Chitika also notes that Samsung showed the biggest market gains at 2.1 percent followed by Google thanks to strong Nexus 5 sales. 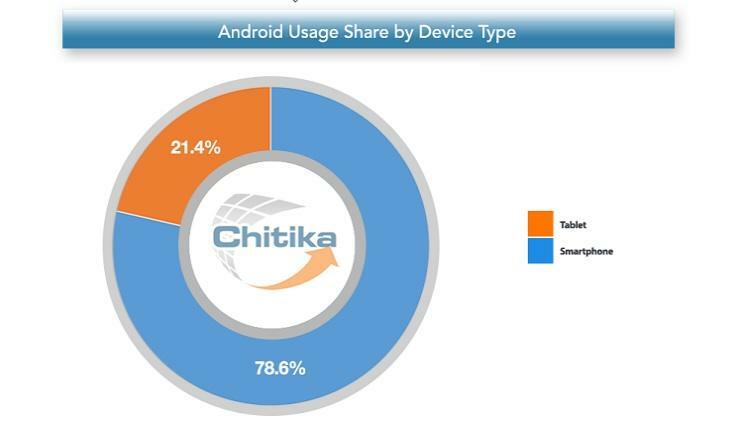 A second chart shows how Android usage breaks down between smartphones and tablets, with handsets responsible for 78.6 percent of all web traffic. When it comes to tablets, Apple still has the edge concerning user engagement, though that hasn’t stopped Android from eating up the iPad’s market share.